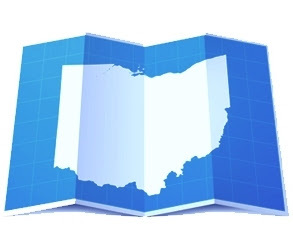 Ohio’s Residential Property Disclosure Form is neither a Substitute for Due Diligence, nor a Guarantee against Seller Omissions/Misrepresentations. Pursuant to Ohio Revised Code Sec. 5302.30, Ohio’s Residential Property Disclosure Form ( the "Disclosure Form") is required to be filled out and signed by sellers of "Residential Property" (defined in the Statute as real property improved by a building or other structure with 1-4 dwelling units). The Disclosure Form is thought by many to have done away with the old adage “caveat emptor” (“let the buyer beware”), and also thought to have alleviated the need for inspections and due diligence (aka thorough investigation). Neither thought is true. Inspections and other due diligence should always be done by the buyer of any property, regardless of any statements of the seller (whether on a Disclosure Form, in the form of representations and warranties in the contract, or otherwise). As President Ronald Reagan told Mikhail Gorbachev a number of years ago regarding reducing nuclear arms, “Doveryai, no Proveryai” (“Trust, but verify”). “Caveat Emptor” is still alive and well in Ohio, although there are exceptions for fraud and material misrepresentations/omissions. The relatively recent 8th District Court of Appeals case, Gee v. Sun, (Gee v. Sun, 2008-Ohio-6282 [8th Dist. Ct. of App., Cuyahoga Cty.]) illustrates why the Ohio Residential Property Disclosure Form Act should not be relied upon by buyers as a guaranty of rescission, or as a guaranteed basis for a fraud/misrepresentation claim against a seller of "residential property". In Sun, the seller listed her property in December of 2004, completed the Residential Property Disclosure Form and indicated on the form that she did not know of any problems with the sewer system and had no knowledge of any recent or proposed assessments regarding same. After the buyer (Gee) purchased the property in 2005, he discovered that the City adopted a pending ordinance for a new sewer system and hefty assessments to pay for same. Gee sued the seller to rescind the contract and for damages due to alleged material omissions and misrepresentations on the Disclosure Form. 2) Seller was not liable for the fraud/misrepresentation/omission claims of the buyer. Pursuant to R.C. 5302.30(F)(1), “A transferor of residential real property is not liable in damages in a civil action for injury, death, or loss to person or property that allegedly arises from any error in, inaccuracy of, or omission of any item of information required to be disclosed in the property disclosure form if the error, inaccuracy, or omission was not within the transferor’s actual knowledge”. The Court in Gee v. Sun reasoned that perhaps, the seller should have known about the City’s ordinance to replace the sewers, as stories regarding same had been published in the local newspapers for three issues in a row. However, the Court, in citing the above statute reminded the parties that there can be no liability without actual knowledge, and there was no evidence that the seller actually knew about the sewers/assessments (in fact, the seller’s mailbox had been missing for some time and the seller claimed that was why she did not know anything about the sewers). The moral of this story? The Ohio Residential Disclosure Form Act has its limitations. First, the Act was not intended to circumvent existing law which makes it difficult to prove fraud/misrepresentation. Second, rescission is not a post closing remedy under the Statute. Finally, information disclosed on the Disclosure Form is made with a "built-in qualification" (to seller’s actual knowledge), meaning there is no requirement that a seller should know about particular problems, or even make inquiries about its property to discover if there are any problems. Thorough inquiries about a property to be sold have always been, and should always be a buyer responsibility, and if a buyer does not so inquire, caveat emptor. Ohio has arguably the WORST Property Disclosure Forms. to the article. This will draw traffic to your webpage. Please contact Nicole at nwolosoff@gmail.com Look forward to hearing from you.